How much time do you spend on your email campaigns every day, performing the same tasks over and over for different subscribers? We’re here to tell you that there’s another way to handle those repetitive tasks: email marketing automation. And all you need is the right tools. 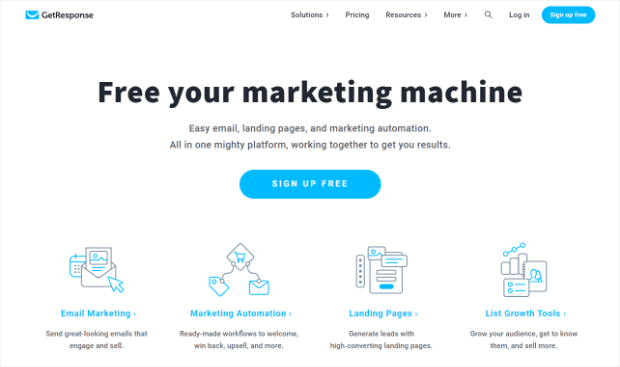 As luck would have it, we’re sharing with you the 31 best email marketing automation tools we’ve found for getting the job done. At a time when digital marketing is expanding to include dozens of different mediums, email marketing still remains one of the highest returning assets (4400%!) a business has at its disposal. Only 51% of companies are using email automation to save time and money. Automated emails get click rates 119% higher than broadcast emails. Sending an automated welcome email series instead of a single welcome email can increase revenue by 13%. Automated birthday email offers can boost conversion rates 60% over non-timed emails with the same offer. 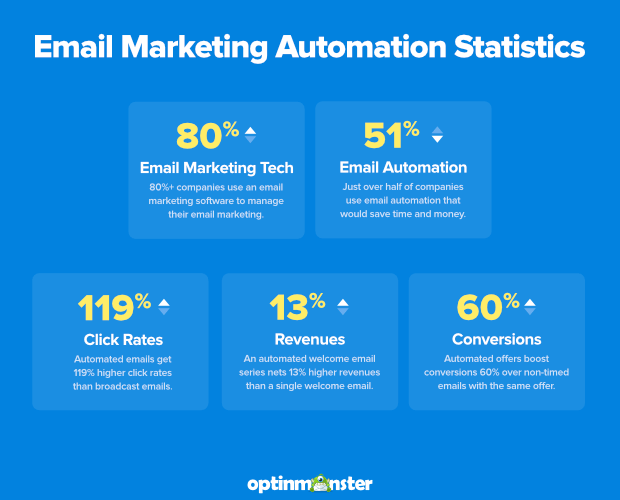 These are just a handful of stats that prove the value of email marketing, and automation in particular. There are hundreds of other data points. However, the bottom line is this: if you’re going to do well at email marketing this year, you need to use the tools that will allow you to automate your campaigns. You’ll also get lots of support to use this lead generation tool since Constant Contact rates highly for world-class support, extensive online training, and webinars to help you achieve success. Constant Contact is a great tool for everyone, but if you need an email marketing service that can help with managing event invitations, registrations, and tickets (Email Plus plan), you’ll be particularly happy with this choice. As the name suggests, Drip is an app designed for streamlining the drip email process. It’s a surprisingly simple tool that packs quite the punch. The app features email gathering technology, pre-made templates, and drag and drop elements for simple creation. SendinBlue is a complete marketing automation software that combines both email marketing as well as SMS messages. 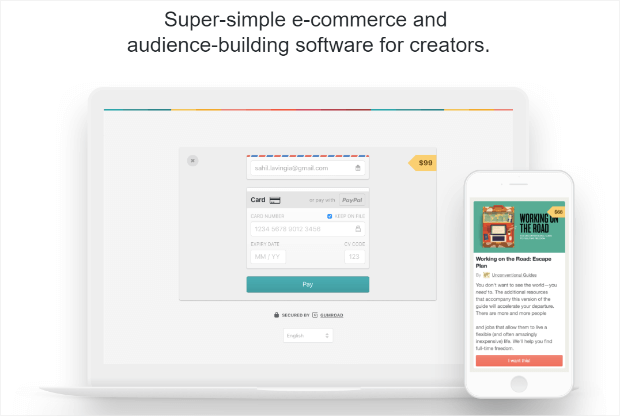 They offer a drag & drop builder that you can use to create highly-engaging emails, build automated workflows, and segment users. You can also use SendinBlue with OptinMonster to segment your email list and send highly personalized emails to your customers at the right time. ActiveCampaign allows you to create drip emails that are driven by subscriber interaction, behavior, interests, location, history and more. 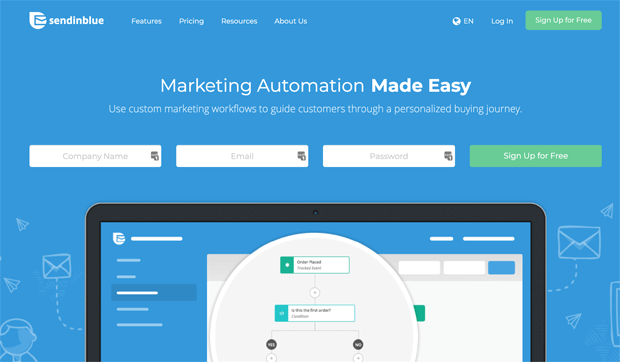 With this tool, you can automate the entire life cycle of a subscriber or customer. You can also use ActiveCampaign Tags + OptinMonster to activate drip campaigns based on the subscriber’s behavior on your website. 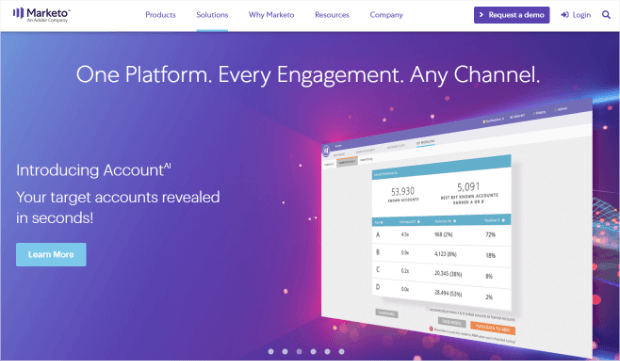 If you need a tool that handles marketing automation, comes with a built-in CRM, and performs multi-channel marketing, ActiveCampaign could be the one for you. MailerLite features a drag & drop editor, making it easy to set up beautiful email marketing campaigns in minutes. You can personalize, segment, and automate your campaigns using MailerLite’s advanced targeting features, and their optimization features will ensure that your campaigns are performing their best. Better still, you can use MailerLite + OptinMonster to create high-converting MailerLite signup forms and personalize them based on user behavior. If you’re just starting out, going it alone, or need a simple, intuitive interface, MailerLite just might be the newsletter service you’re looking for. Text-only emails can be boring. Heck, even images are becoming boring in today’s media-saturated internet landscape. 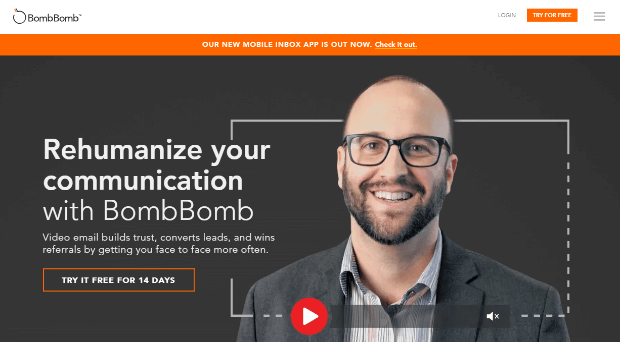 If you want to effortlessly spice up your emails, then you should consider using BombBomb to create video-powered drip emails. Mailchimp allows you to send drip emails to follow up based on website activity, abandoned carts, activity or inactivity, and much more. You can also use Mailchimp Groups + OptinMonster to send drip emails based on what the subscriber opted in for, or even based on checkboxes that the user selects on your optin form. If you’re looking for tons of integrations and an all-in-one solution for inbound campaigns, here you go. Widely known as a place to sell digital products and services, Gumroad now has an email feature that lets you gather and store potential customers alongside existing customers. You can then segment based on numerous features and send updates about your products. In addition to helping automate standard email drip campaign tasks, Infusionsoft by Keap serves as a general task manager. The “My Day” feature shows you which appointments you have for the day, as well as which contacts you need to follow up with. Did you recently add a bunch of new subscribers to your email list? Well, instead of bombarding them with a bunch of past emails, you can use AWeber’s Follow Up feature to get subscribers up to speed in a hurry. You can also categorize your AWeber subscribers based on what they opted in to on your website using the “ad tracking” feature + OptinMonster. 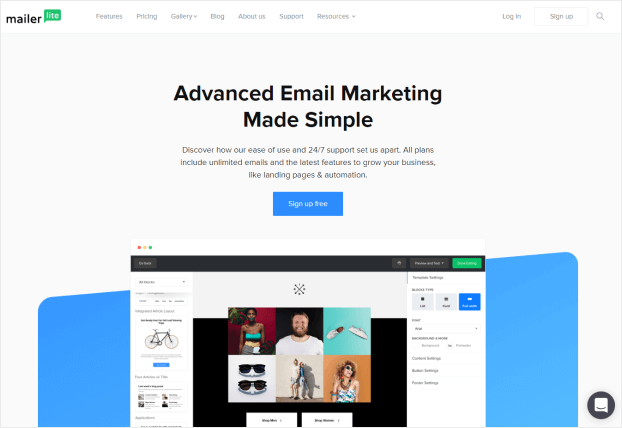 If you’re looking for a solid, trusted email newsletter service that’s been around AND has killer support, AWeber is where it’s at. If you’re like most people, your email newsletters are sent at predetermined times. Shouldn’t they be integrated into your calendar then? GetResponse’s autoresponder tool uses drag and drop features to make calendar management a breeze. You can also send highly targeted autoresponders to subscribers based on how they got on your email list using GetResponse Campaigns + OptinMonster. If you want automation tools and responsive templates to create your landing pages, give GetResponse a look. Want some of the more advanced features of a CRM without the price tag? ConvertKit allows you to send targeted autoresponders to subscribers based on their interaction with your emails with Automation Rules. They even have blueprints that you can use to quickly create autoresponder sequences for almost any situation. You can also use ConvertKit Subscriber Tags + OptinMonster to segment your emails based on on-site behavior. If you’re a professional blogger who’s looking to run ultra-targeted campaigns, you can’t go wrong with ConvertKit. Nobody likes a generalized email newsletter. That’s why Emma is a great tool. This powerful tool works with Shopify, Salesforce and OptinMonster to gather CRM and sales data and personalize emails based on the subscriber. Contactually is one of the neatest tools on the list. It’s a CRM platform that focuses on vetting contacts. It gathers contacts form your email inbox, website, and social media profiles, and then gathers as much information as it possibly can to guide your messaging. If you’re looking for an email marketing service and CRM for real estate professionals, you found it! HubSpot is consistently ranked as one of the top marketing automation tools across a spectrum of tasks. One of its top uses involves streamlining email marketing through the use of automated workflows. If you’re trying to teach your customers/users about your app, Intercom lets you send automated email conversations directly in the app. This gives them assistance where they’re most likely to see it. Just like Gmail now uses tags to optimize messages, so does Hatchbuck. You can create tags and assign them to specific contacts based on their interests and the stage of the funnel they’re currently in. Sometimes you want to move beyond email. With E-goi, you can break up any email campaign by sending out updates via fax, SMS, or even voice message. 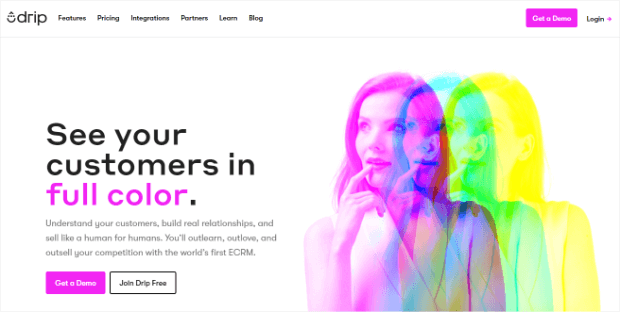 For large companies that have a bunch of different inbound, outbound, and lead nurturing programs running simultaneously, Act-On integrates them together to maximize their return. As the name suggests, LeadSquared streamlines the lead scoring process by automating email marketing activities and combining them with sales activities for increased efficacy. Another great lead qualifying tool is SAP Sales Cloud (formerly CallidusCloud). This technology automates the process of identifying promising leads while weeding out ones that are deemed to be unqualified or high-risk/low-reward. GetNotify is a free tool that notifies you the instant your email gets read by the recipient. You just send your emails like your normally would, but add “.getnotify.com” to the recipient’s email address. Your recipient will not see this, and they will not know that you are tracking their opens. What good is an email marketing campaign if you can’t automate things like testing, tracking, and optimizing? With Campaign Monitor, you can. It features interactive analytics that are easy to review and act upon. In order for any email marketing drip campaign or newsletter to be successful, you need subscribers. With OptinMonster, you can build high converting forms for your websites and landing pages in just a matter of minutes. Plus, you can segment leads and customers with behavior personalization and funnel them right into your automated campaigns. Read these case studies to see how much success other businesses are having using OptinMonster. One of the best ways to increase your email subscriber list is by running contests and giveaways. 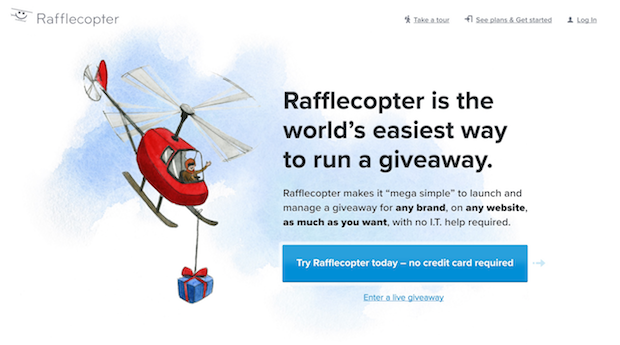 With Rafflecopter, you can host these contests on your own blog and social media platforms. PageModo lets you turn your Facebook business page into a professional landing page that can collect leads and increase your subscriber numbers. 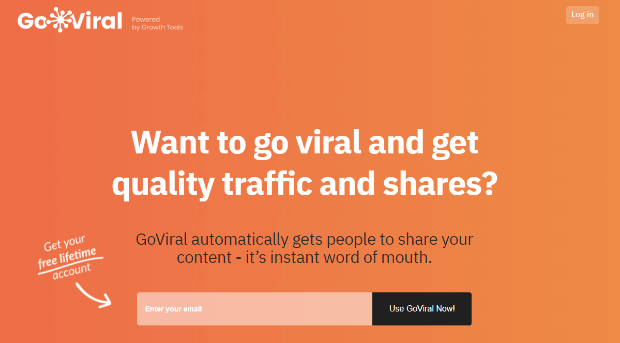 GoViral (formerly SmartBribe) is a 100% free tool that encourages your new email subscribers to share your opt-in with their friends. It customizes your thank you page to include a “bonus” incentive for them to share on social media and email. Once they share, they get access to the free bonus. 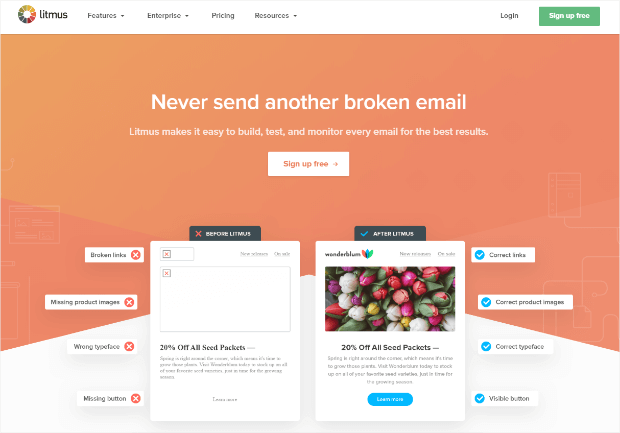 Litmus is one of the top tools to render testing emails on any device. You can test up to 40 clients and devices with one single click, which cuts down on the time it takes for you to review each and every email combination. The Reach Mail testing feature lets users compare direct performance metrics on up to five individual email campaigns at once. It also accounts for things like subject lines, content, and images to show you which emails will perform best. Every email marketer needs an automated A/B split testing tool to improve open rates. With Cake Mail, you can determine which emails will perform best. There’s also a “Spam Assassin” feature to ensure emails don’t end up in spam folders. That’s it! 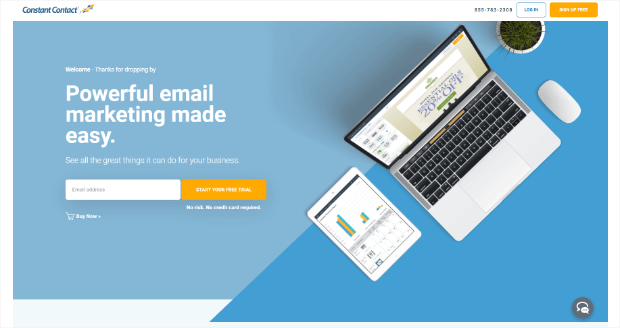 We hope this article has helped you to find the best email marketing automation tools for your business. 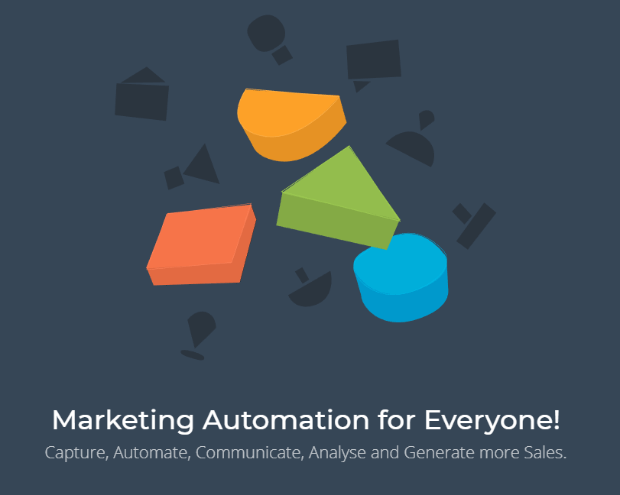 What are some of your favorite email marketing automation tools? Leave a comment and let us know. If you’re interested in getting started with one, give OptinMonster a try. 😎 It has everything you need to capture targeted leads and segment them right into your automated campaign. Sign up for OptinMonster today!